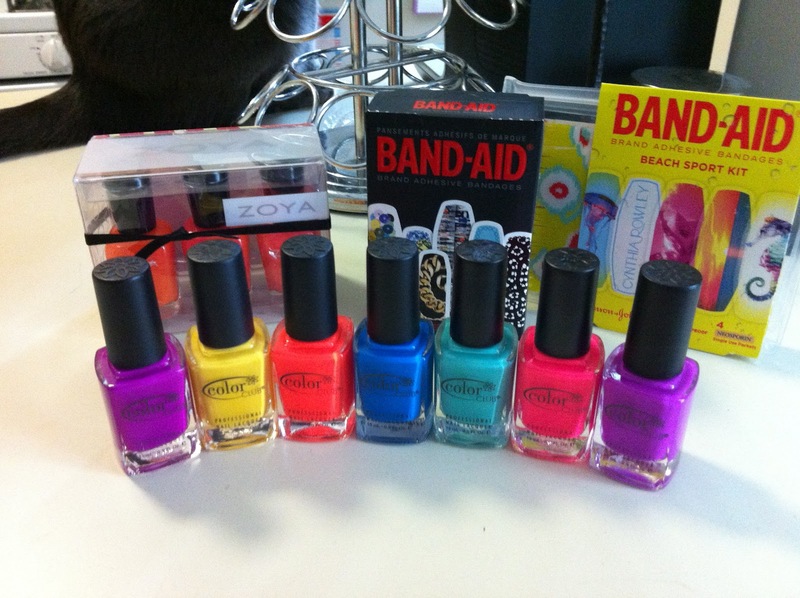 Remember the Birchbox Cynthia Rowley by Band-Aid giveaway, I entered over a month ago? Well, I won & I am so excited! I don't think I have ever won anything in my life & for it to be something that I love & worked on really feels great! 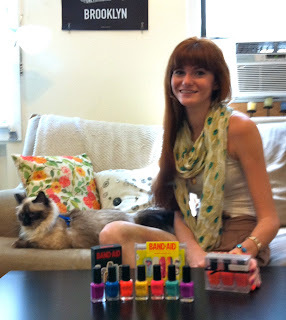 The contest was on Birchbox's Pinterest site. You needed to post a picture of your nails while wearing a Band-Aid. I had just received my first Birchbox ever & I actually received the Cynthia Rowley Band-Aids in my box, so I was so excited to check them out for inspiration for a mani. This is the design I submitted to the contest. I was inspired by the sequin motif Cynthia Rowley Band-Aid. 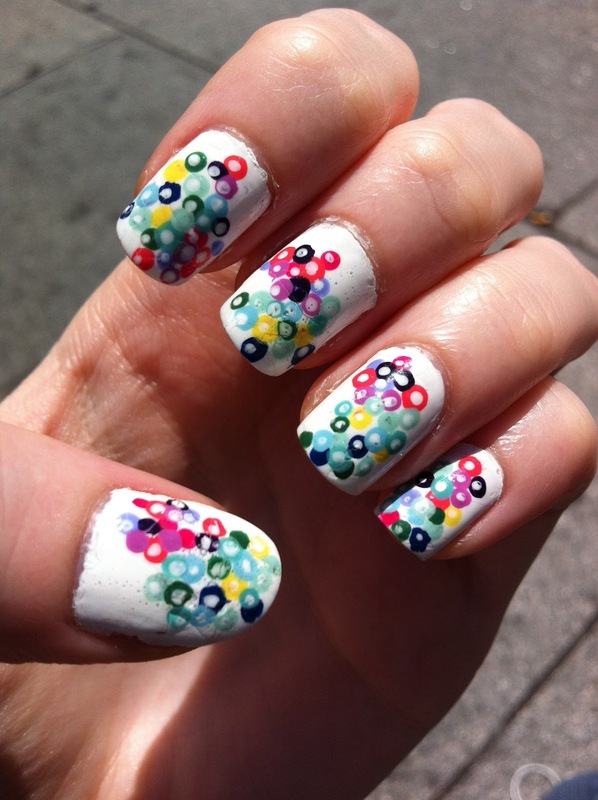 I started with a white base coat and used a bobby pin as a dotting tool with (I think it was 12) different colours. I used warm & cool colours, just like the image. After the dots dried, I used the tip of a pencil as a dotting tool and dotted the center of the dots with white polish to form the sequin. Two days ago, I received an email from Birchbox saying that I won & yesterday I received my prize package! I can't believe all the great products I received! Below is a list so you can check them out! I can't wait to try some gradients & water marbles with these! Make sure to follow me to see some swatches & nail art using all of these amazing colours! & Thanks to Birchbox for their great service & innovation! My August box is on it's way & I can't wait! !